Dr. Mark Kahn received a BA in Psychology from UCLA in 1971 and received his DDS from the University of Southern California in 1976, graduating with high honors (OKU). He was born in Chicago in 1948 and moved to Los Angeles in 1953. He is married and has two children. Dr. Kahn’s hobbies include skiing, road bicycling, reading, and going to movies. 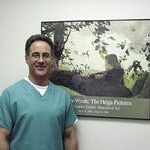 He is also a consultant for Wellpoint Dental Services.